Very simple 40m portable dipole with speaker wire. Talking with Ross, VK1UN, the other day we stumbled on the simple idea of using figure 8 speaker wire as the feed line up to an "inverted V" dipole held up with a squid pole. Compared to feeding with coax up to a balun, this is extremely light weight and so doesn't bend the squid pole too much. The video above takes you through how it works. This is the antenna a plan to take to the next Sydney QRP by the harbour event coming up in October. 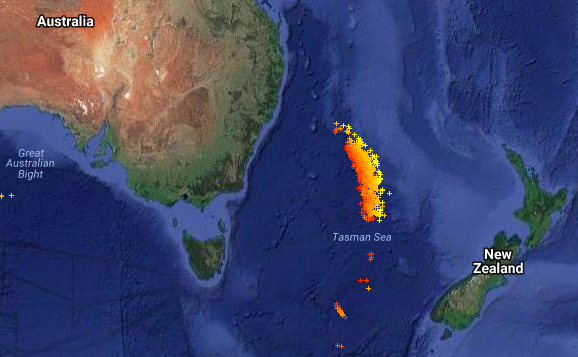 Brian, VK2AAF, just alerted me to a fantastic map of current lightning. LightningMaps. Were were talking on 80m and there was quite a lot of noise but the weather here is fine. Turns out there's a lot of lighting off the coast towards New Zealand. If you can install python (which you can pretty much anywhere) here's a little script to get started with logging from Fronius inverter. The latest source code is here. file_name = today + ".csv"
url = "http://" + host + "/solar_api/v1/GetInverterRealtimeData.cgi?Scope=System"
Note that I'm assuming Python 3 and you'll probably need to install the requests module. The program outputs a single file for each day. Here's some code to draw a pretty graph. 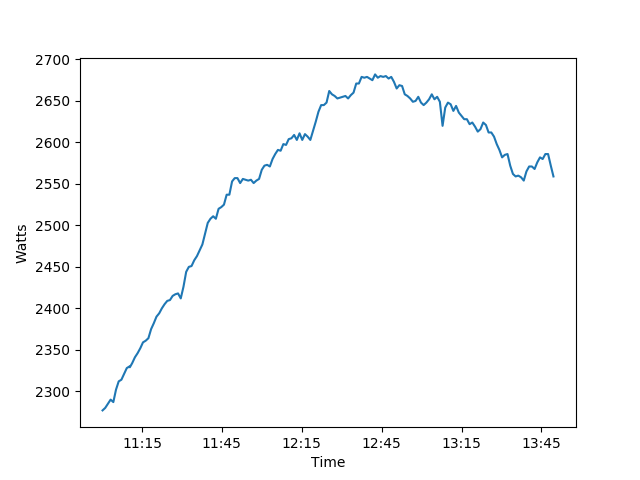 Simple code to draw a graph of a day of power. Finding the IP address of your inverter is pretty easy if you have a network scanner such as nmap. I use LanScan on macOS and the Fronius comes up as having a network interface from "u-blox AG". The ham shed has been solar powered for many years. 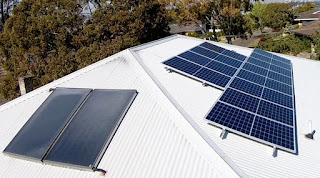 Finally it was time to install PV panels on the roof of the house. The panels are installed on the west side of the roof as we already have solar hot water on the north side. Afternoon power might work well for running the air-conditioning on hot days. Our last quarterly electricity bill was $447 and they say our average daily usage is 14.54kWh. 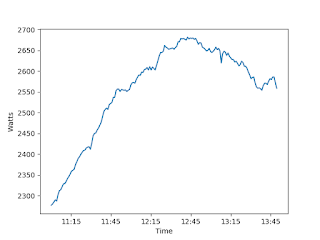 (Yesterday the system produced 16.2kWh for the day, but much of it was excess). 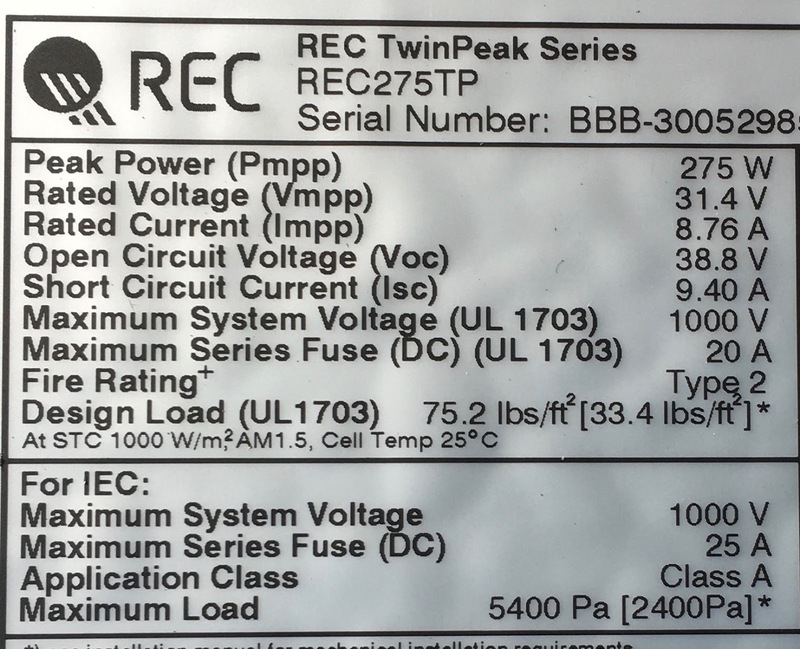 We've put in 12 275W REC TwinPeak panels to give a theoretical total of 3.3kW. The house is three phase so we've gone with a Fronius three phase 3kW inverter. 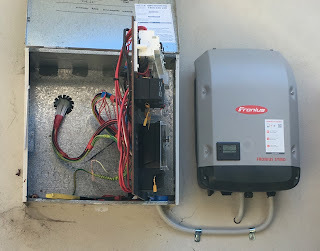 The inverter sits next to the electrical switch box and there's a "smart" meter inside the box through which power to the house runs so it knows how much we're generating and how much we're using locally. The big lump of usage in the evening was me baking dinner. This is where a battery would obviously help. 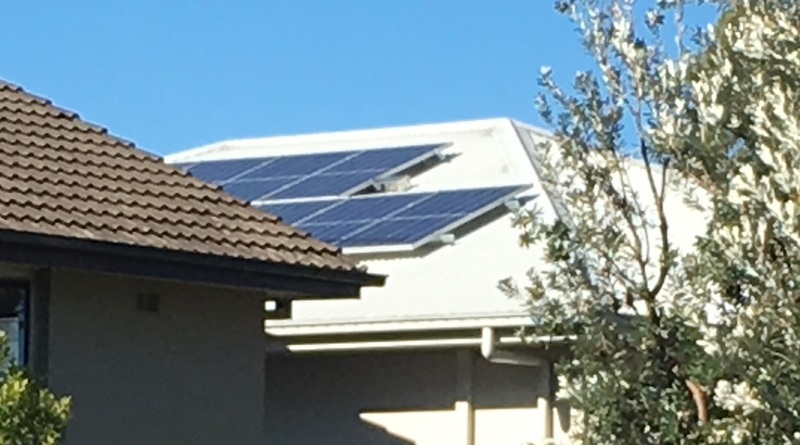 I paid AU$6,201 for the system and given that we pay about $1,600 per year for electricity now, I'm hoping that it might pay for itself after about 5 years but this remains to be seen. 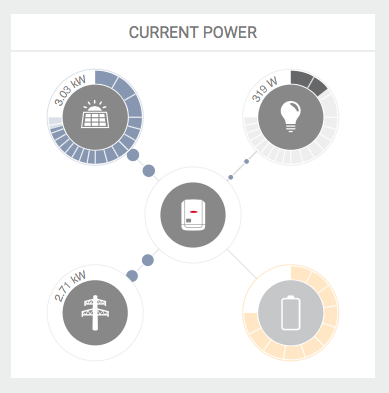 We currently pay about 24c per kWh but the feed in tariff is just 6c but on current figures there's quite a lot of spare power available to earn credits. After the next bill I intend to take the Prime Minister's advice and shop around to get a better price and better feed in tariff. Already I've changed my behaviour in that I wait until sun falls on the panels from 9am before turning on the clothes and dish washing machines to take advantage of solar power. For breakfast I make coffee in a gas stovetop device. A battery is an obvious enhancement but I'm not convinced that it would pay for itself any faster given the extra investment. The German made Fronius inverter is an interesting device. As well as pushing data to their web site (or you can configure it to push to your own url) it has a group of web service APIs that produce JSON data. I have a simple project in mind to build a display of key data for the kitchen. I think providing well documented open APIs in smart home devices is a key feature and I certainly chose to pay a little more to be connected. They have smart phone apps but oddly they have less information than the web site. With a little hacking here's a little power generation display built with an ESP8266 and an OLED display. I was concerned about this and chose not to go with panels that have built-in inverters. My tests so far show that the system does not produce noticeable HF interference when in operation. 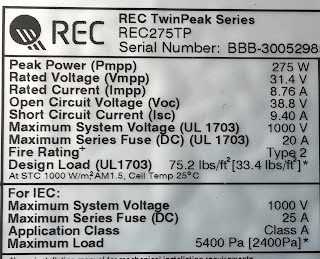 I have held a radio up to the inverter tuned off stations and can hear very little effect. Potentially having big diode panels on the roof might rectify HF transmissions but so far I haven't noticed any effects. 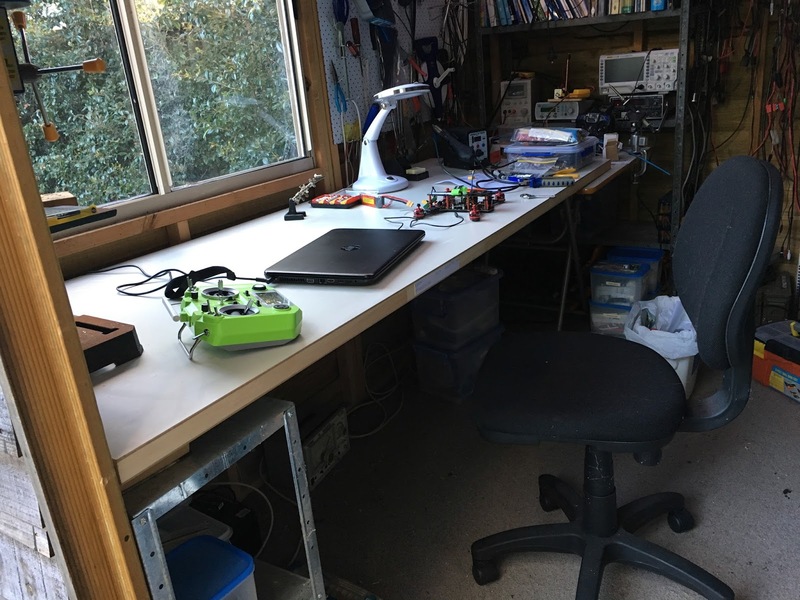 A very simple, cheap, upgrade to my shed today. 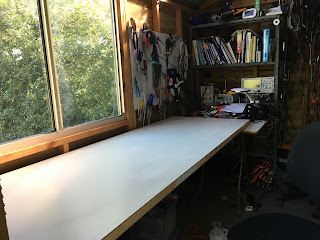 I've always struggled to build things on little folding tables. Today I paid AU$29 for a door and it makes a fine bench. It's a hollow door so won't take much weight in the centre. I'm thinking of putting some sort of edge on it to stop things rolling off. I'll keep this next picture as a reminder of what it looked like originally. The door is a narrow model. It's 2040x720x35mm. (I have no idea how many furlongs that is for you Americans).